Seeking to develop a progressive culture that hires and advances women? Today’s workplace doesn’t always offer hospitable practices, policies, or support for women. Our goal is to change that. We develop and implement D&I strategies critical for innovation and financial performance and with the added benefits of higher retention and improved employee engagement. We combine our expertise in design thinking with our experience transitioning accomplished women back into careers to help companies ensure their work environments are places where their female employees will thrive. We work with select companies to custom design sustainable programs that are evidence-based and measurable. 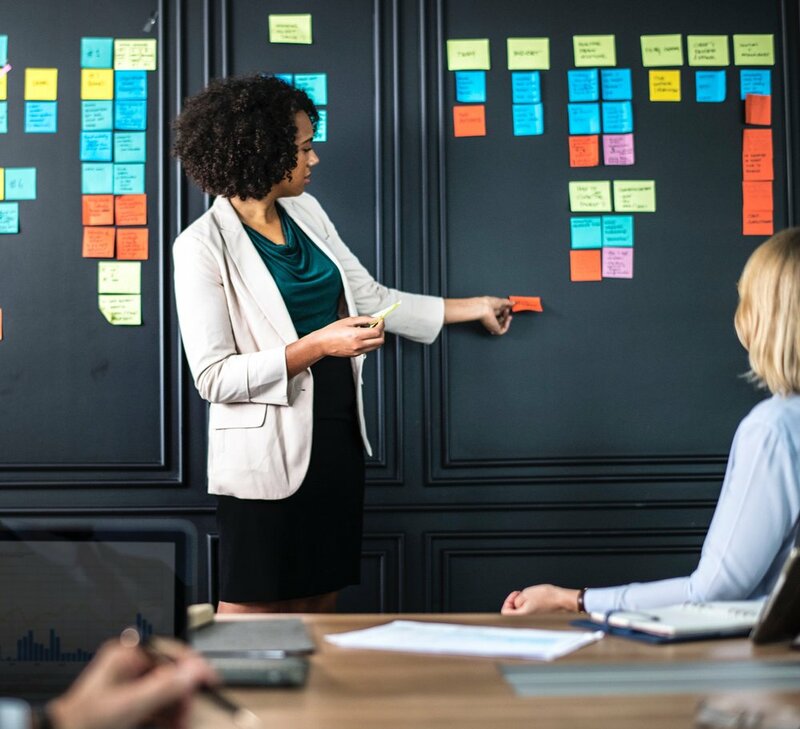 Our programs are developed using a toolkit of leading edge business practices tailored to a client’s specific gender diversity goals, and which are proven to achieve the most significant results. Increase diversity through cost-effective hiring. ReBoot Accel is the premier Bay Area source for progressive companies seeking diverse candidates. Women resuming their careers offer strong communication skills, significant management experience, minimal training costs, and high retention. Our partner program promotes your open roles to the largest reach of accomplished, experienced women transitioning back into the workplace. View a 90-sec video of the Visa Event. Design a culture that empowers and advances women. Our consulting services assist you with strategic assessment, program development, engagement surveys, workshop facilitation and leadership coaching. Benefit from our expertise coaching and upskilling over 2500 women, and our deep work with corporate clients ranging from startups to Fortune 500 companies.We bring innovation tools like design thinking and agile development practices to create programs and practices that allow all employees to thrive.